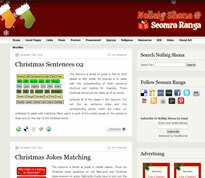 Seomra Ranga’s website for Christmas resources, Nollaig Shona, was three years old last week. 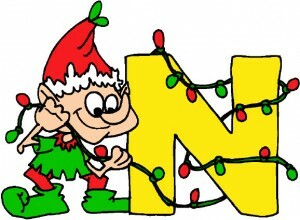 It contains lots of different resources for classroom planning for the Christmas season. There are flashcards, posters, worksheets, seasonal music, quizzes, religious resources and visual arts ideas. I’d encourage teachers to keep up to date with developments on the site by subscribing to the site via email on the top right of the website. This means that if new resources are uploaded onto the site, you will receive one email per day letting you know about new uploads. 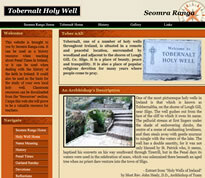 You can also follow Seomra Ranga on Twitter or Facebook to keep up to date. I’ve already started to add some new Christmas resources to the site and I will continue over the next while to upload some more. I’m working on a new Nativity Table Quiz at the moment – the seasonal table quizzes are really popular at this time of the year. Finally, if you have Christmas resources that you have created and are willing to share them with others, please email them as an attachment to me at info@nollaigshona.ie Please make sure that they are original resources created by you that contain no copyrighted material.